To access the Videology Privacy Dashboard and review your ad preferences or opt-out of Videology’s targeted advertising please click here . This policy does not apply to information about you collected by third party advertisers and publishers who use the Services, or other third parties linked to or otherwise accessible via the Services. The information collected or received by any such providers and third parties is subject to these third parties’ privacy policies. Videology is a member of the Network Advertising Initiative (NAI). Our practices conform with the NAI’s Self-Regulatory Codes. Videology conforms to the Digital Advertising Alliance (DAA) Self-Regulatory Principles. Videology Ltd. (Videology’s UK subsidiary) is committed to the IAB Europe Framework for Online Behavioural Advertising. Videology Ltd. has registered as a vendor, participating in the IAB Europe Transparency and Consent Framework (Framework) and adheres to the Framework Policies. Mobile Advertising IDs (sometimes referred to as MAIDs). In the case of mobile devices (e.g., mobile phones, tablets, etc. ), some mobile inventory suppliers and third-party service providers that we work with may provide us with the mobile advertising ID assigned to your device (i.e., a Google AdID for Android devices or an Apple IDFA for Apple devices). Internet Protocol Address (“IP address”). IP addresses are assigned by your Internet service provider (e.g., Comcast/Xfinity, AT&T, British Telecom, Virgin Media, Sky Broadband, Orange, etc.) to the modem used to access the Internet for connected devices in your home and/or business. Any devices using the modem to access the Internet may broadcast the same IP address. At home, connected devices could include one or more laptop/desktop computers, tablets, mobile phones, smart/connected TVs and gaming consoles. At work, connected devices could include one (or all) floor(s) in an office building. HTTP headers & User Agent. When a client sends Videology an ad request, we receive certain information about the source of the request, such as the publisher client (web site) sending the request and data associated with the source device’s Internet browser/content delivery software (e.g., Microsoft Explorer, Mozilla Firefox, Google Chrome or a smart/connected TV or gaming console’s browser). We may also receive information such as device type (e.g., computer, tablet, smart/connected TV), date/time of visit and/or browser type. Click-stream Data. Click-stream data includes web pages you visited when viewing an ad we’ve sent in response to an ad call we received, and information on your interaction with the Services when viewing content on your device’s Internet browser, including whether you interacted with the ad (e.g., viewed the ad to completion or clicked on the ad), and what ad content you viewed (i.e., which ad we delivered to you). Demographic Information. We receive certain demographic information (age, gender and income range) from third party data providers we work with. Behavioral Information. We receive inferred behavioral interests from third party data providers we work with such as “sports enthusiast”, “foodie” or “travel enthusiast”. Geographic Location Information. We derive zip code and postal code information from the IP address we receive. In some cases, we receive zip code or postal code from media suppliers (web sites and mobile apps) related to a specific ad request they send to us. We do not receive precise geographic location information (i.e., information that determines with reasonable specificity the actual physical location of a person or device, such as GPS level latitude-longitude coordinates or location based Wi-Fi triangulation). We collect information (i) automatically when we receive an ad request from a web site or mobile app that uses our Services on which you are viewing content, and (ii) from third party service providers we work with. Unique IDs. If you are visiting a web site that uses our Services, the media supplier (web site) will send us an ad request and we will look to see if your device already has our TTID cookie associated with the browser on your device. If you do not have a TTID cookie, and you have not opted-out of Videology’s interest-based advertising, we will place a TTID cookie on your device and associate it with your browser. If you are viewing content on a mobile app that uses our Services, provided you have not opted-out of sharing your mobile advertising ID, mobile inventory suppliers (mobile app owners) and third-party service providers that we work with may provide us with the mobile advertising ID assigned to your device (i.e., a Google AdID for Android devices or an Apple IDFA for Apple devices). IP address. Videology receives IP addresses from most users who view ads we deliver because, in most cases, this information is automatically sent to us by the software on the users’ Internet-connected device (e.g., Microsoft Explorer, Mozilla Firefox, Google Chrome, apps on mobile and other connected devices such as smart TVs and gaming consoles) each time we receive an ad request from a media supplier (e.g., web sites and app providers on mobile devices, smart/connected TVs and gaming consoles) to deliver an ad to the media on the device on which the users are viewing content. HTTP Headers & User Agent. When performing our Services, we receive “ad requests” from our clients. An ad request is a signal (or request) that we receive from a client using our Services letting us know that someone is viewing content (a video news clip, for example) and the client would like to show the person viewing the content a video advertisement. Each time we receive an ad request, information from the User Agent associated with the user’s browser and device (e.g., Microsoft Explorer, Mozilla Firefox, Google Chrome, apps on mobile and other connected devices such as smart TVs and gaming consoles) is automatically sent to us in HTTP Headers. HTTP Headers are code that transfer data from a browser to a web server, which data is related to the source of the ad request and allows us, among other things, to return an ad that is formatted for proper display on the user’s browser. Demographic and Behavioral Information. We contract with third-party data vendors who license demographic and behavioral information to us that they have collected. When you are viewing content on a client’s web site that uses our Services and we receive an ad request from that client, or a request from a pixel tag placed by the client on their web site(s), we may make a request to some of our third-party data vendors. In response to our request, the data vendor may provide us with demographic and behavioral data they’ve collected about you that they have associated with their cookie on your device. Additionally, third-party data vendors send us updates to demographic and behavioral data associated with cookie IDs and mobile advertising IDs, which Videology can associate with its TTID cookie. Third-party data vendors may also provide Videology with first-party demographic and behavioral data they manage on behalf of Videology’s advertising clients (demographic and behavioral data the advertising client has collected from its own customers), and Videology can also associate such data with its TTID cookie. Geographic Location Data. We contract with third-party service providers who provide us with zip code and postal code to IP address look-up tables. When we receive an ad request, we can use the look-up tables to derive the zip code or postal code from the IP address that is associated with the ad request. In some cases, when we receive an ad request, a media supplier may send us zip code or postal code related only to the specific ad request they send to us. At the direction of, and based on criteria selected by, clients that use our Services, Videology uses information it receives and collects to customize, target, and measure the effectiveness of the ads we deliver to you via the Service (including targeted advertising based on demographic characteristics, viewing preferences and behaviors), to prevent showing you the same ads repeatedly (frequency capping), for reporting on ad campaign delivery to both advertisers and digital media inventory partners, for general reporting purposes (such as the total number of ads delivered by Videology in a given month), and to predict the characteristics and preferences of the audience on sites that use our video advertising Services in order to assist (a) advertisers in targeting their campaigns to the most relevant audience, and (b) digital media inventory providers (such as web site owners) to better understanding the types of users who visit their site(s) so they can more effectively assist advertisers in finding the desired audience for their ad campaign(s). With the assistance of the third-party service providers we work with, we attempt to link Unique IDs (unique user IDs stored in a Videology cookie on a web browser and mobile advertising IDs stored on mobile devices) to try to associate the same user across multiple browsers and devices (such as mobile phones and tablets), a process referred to as “cross-device linking”. This “linking” allows our advertising clients to reach the same consumer(s) across various devices and contexts with consistent, relevant marketing messages. As an example, if, using cross-device linking, we’ve been able to associate a user interested in “sports” who has a Videology unique cookie ID on their computer browser, with an app on a mobile device (based on the mobile advertising ID on their mobile phone), we may deliver related ads about sporting goods or apparel to that user on each of his/her devices, or decide not to repeat showing the user the same sports related ad on each device. We may also use pixel tags more generally in ads we deliver to collect information that can be used in measuring the effectiveness of our clients’ video ad campaigns (e.g., that certain ads have been viewed and/or clicked on by users with certain demographic characteristics – such as age range and gender, in certain geographic areas, on certain types of media, etc.) which is then aggregated and used to create reports for those clients on the effectiveness of their ad campaign in reaching their desired audience, along with aggregated insights about the types of consumers who responded to the particular video ad campaign. To assist us with both delivering the ad and selecting the most appropriate advertising based on geographic area, publicly available census-based data and other aggregated information about groups of people who live in particular geographic areas, and other information derived from the IP address of the web browser from which we received an ad request, such as ISP provider. For users located in the United States, to identify “households” (a group of devices connected to the Internet using the same IP address broadcast by a modem) for purposes of delivering selected advertising based on behavioral/interest-based categories associated with such households. If you opt-out of Videology’s interest-based advertising on a device by completing our opt-out process, provided you do not remove or delete our opt-out cookie, we will no longer use your IP address to identify your household on the browser of the device that requested the opt-out for purposes of delivering selected advertising based on behavioral/interest-based categories. Aggregate information derived from IP addresses, such as the number of ad impressions delivered to a geographic region, may also be reported to our advertising clients. 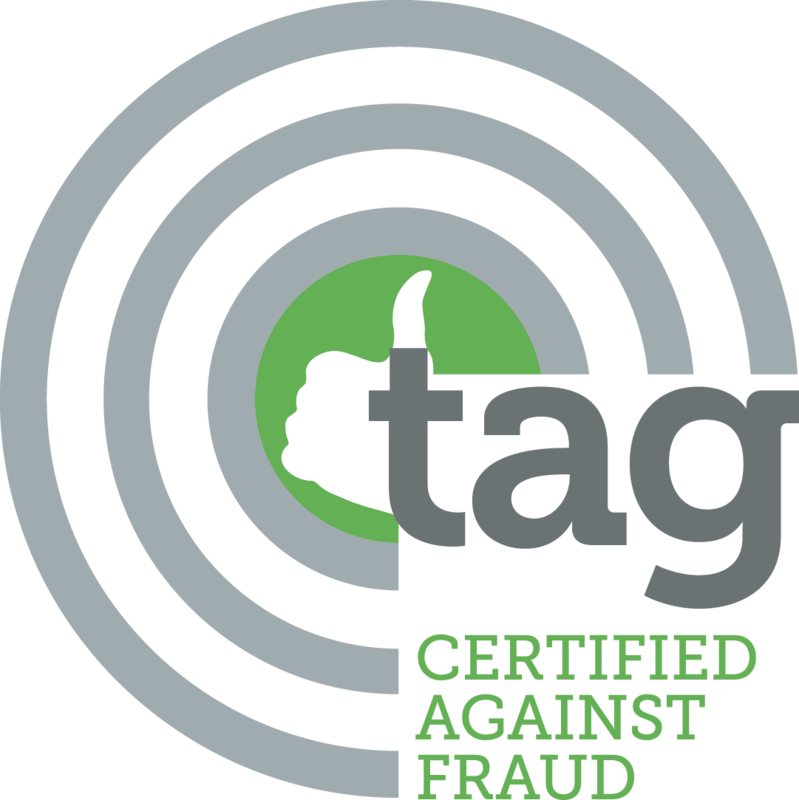 Finally, we may use IP address to help identify and combat potentially fraudulent activity. For users located within the EU/EEA, we will only collect and process personal data about you where we have a lawful basis to do so. Lawful basis include consent (where you have given consent to such processing) and processing based on “legitimate interests”. We will share your information with our affiliates to provide and develop our Services. We work with third party vendors, partners, advertisers, publishers, demographic and behavioral data providers, measurement and analytics providers and other service and content providers. In order to optimize our Services and to better target advertisements, personalize content, and perform audience and campaign measurement services and reporting, we may share information related to you with them, including statistical and demographic data about our users and their interaction with the Services. We will not authorize these third party providers to share or use your information other than as necessary to provide the Services and to enhance user experience. If Videology, or part(s) of Videology, is acquired or merged with another company we will transfer information about you to the acquiring company. Finally, Videology may share information on individuals it deems necessary to comply with a subpoena or court order, to establish or exercise our legal rights or defend against legal claims, or to cooperate with government and/or law enforcement officials. Videology believes users should have all information necessary to make informed decisions and the right to choose how their information is used. We provide you with the ability to opt-out of our use of data we receive to deliver more relevant advertising, tailored to your interests. By implementing Videology’s opt-out cookie on your device (by clicking the link below), you remove Videology’s ability to connect information it has collected to you and your device (i.e., Videology’s Unique ID – the TTID cookie – is deleted from your browser), and any demographic and behavioral information that was previously associated with your browser is also deleted and/or expired. To opt-out of Videology’s interest-based advertising, please click here to implement our opt-out cookie on your browser. Because the information we collect and use in the performance of our Services is associated with randomly generated Unique IDs that are associated with your device, absent you providing us with additional information, Videology is not in a position to personally identify you (name, address, or email) for purposes of providing you access to information about you, rectification or suppression of such information, or erasure of such information. We will not request or seek to process any such additional information from you. Accordingly, you may remove Videology’s ability to connect information it has collected to you and your device by opting-out of Videology’s interest-based advertising. Our Services are not developed or intended for individuals that are deemed to be children under applicable data protection or privacy laws, nor do we knowingly collect information from children. We prohibit clients we work with from using our Services on media (web sites and apps) with content directed towards children. In the United States, we do not accept any information from our data partners related to any child under the age of 13. In the European Union/European Economic Area, we do not accept any information from our data partners related to any child under the age of 16. In addition, our Services do not permit our clients to direct any advertising to any child under the age of 16 located within the EU/EEA. Videology is headquartered in the United States, and we have operations, entities, and service providers in the United States and throughout the world. As such, we and our service providers may transfer your information to, or access it in, jurisdictions that may not provide equivalent levels of data protection as your home jurisdiction. We will take steps to ensure that your information receives an adequate level of protection in the jurisdictions in which we process it. If you are located in the European Union or European Economic Area, we provide adequate protection for the transfer of personal data to countries outside of the EU/EEA through a series of intercompany agreements based on the Standard Contractual Clauses authorized under the General Data Protection Regulation (EU) 2016/679.